The popularity of shuffleboard tables has steadily increased in the United States over the past few years due to their nostalgic quality. 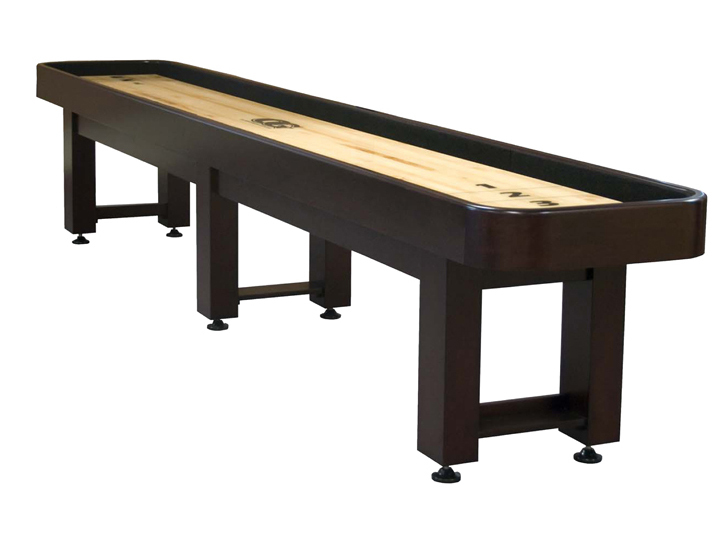 Don’t you remember sliding shuffleboard pucks down that long alley when you were a kid, while simultaneously being yelled at for using too much shuffleboard powder by your parents? 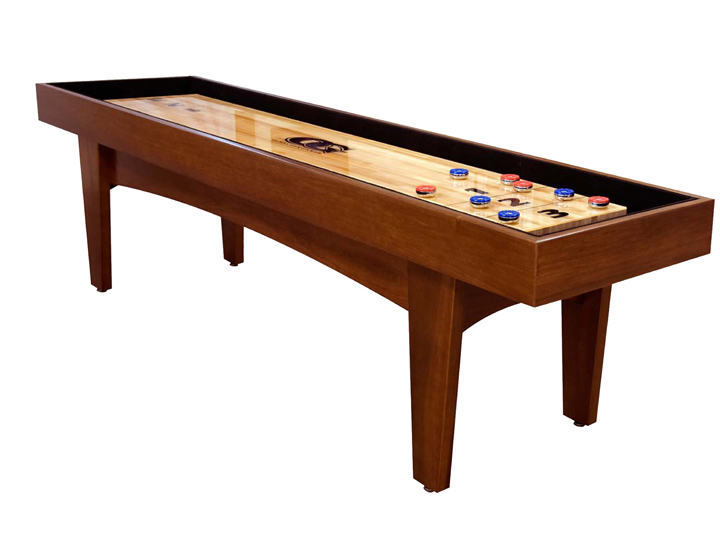 Now it is your turn to do the yelling and keep the tradition going with your very own custom shuffleboard table. 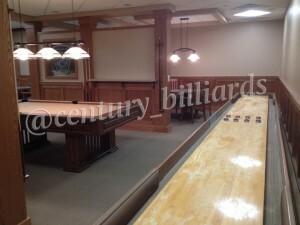 Here at Century Billiards, we carry the best quality shuffleboard tables that will provide your family with a lifetime of fun. We have many different sizes and models available. 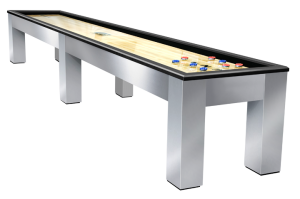 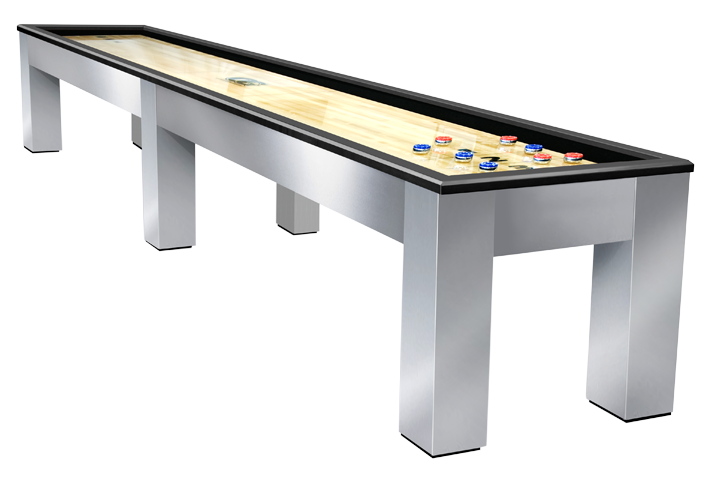 Since the Olhausen Games Line offers a huge selection of high-quality shuffleboard tables, you will be sure to find a model that you love. 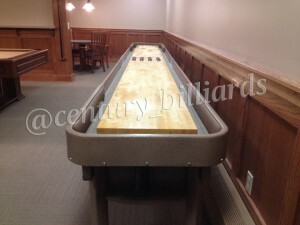 We also offer many different hardwoods and wood stains to best match the decor of your home. 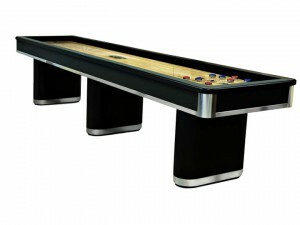 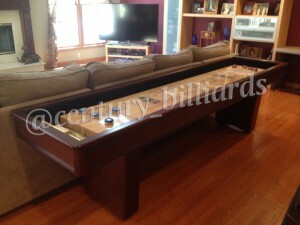 We can even match the style or model to your custom pool table. 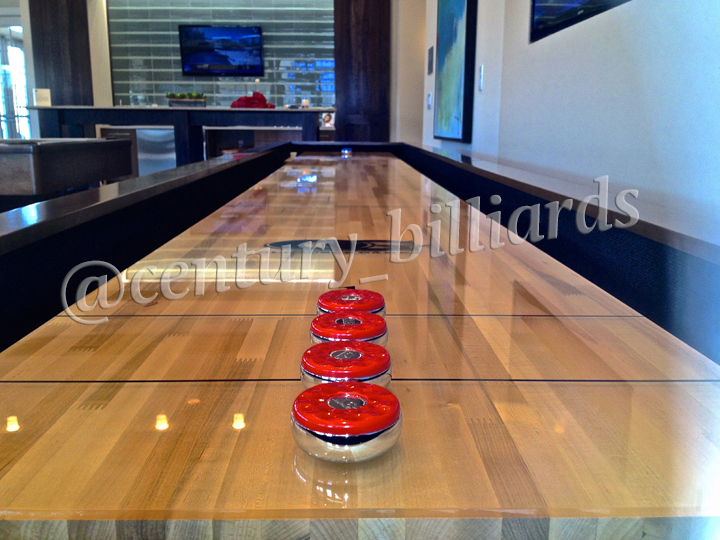 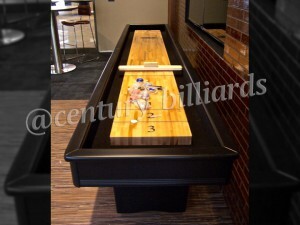 Other benefits of ordering your shuffleboard table with Century Billiards is the fact that we can add a custom logo or image onto your playfield. Additionally, we offer in-home consultations to ensure that we can fit the table into the entrance of your home. 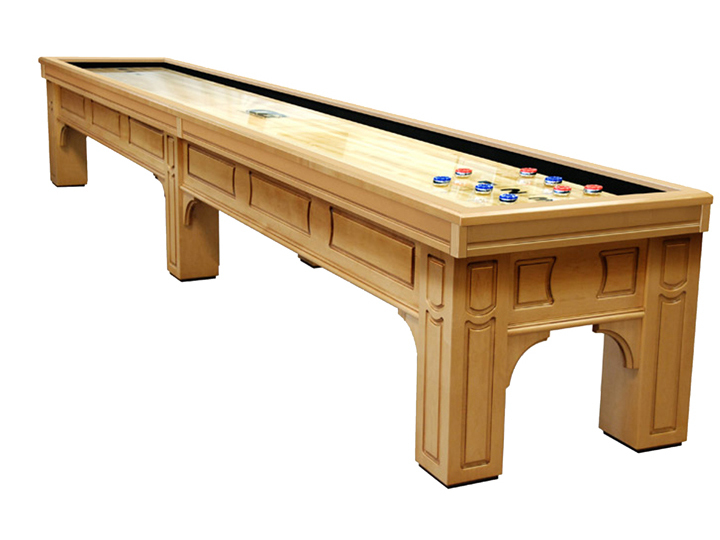 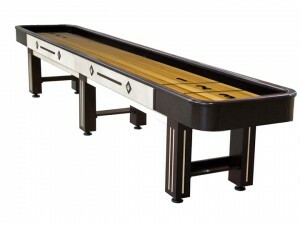 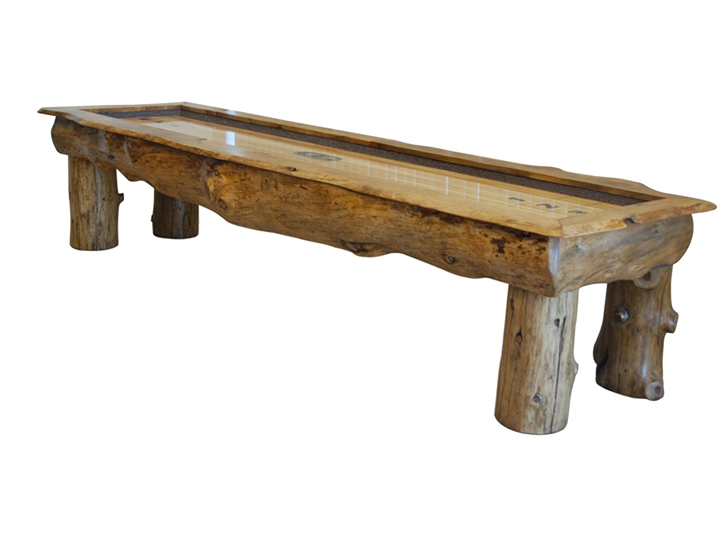 Speak with a shuffleboard expert today, and find out how you can own your very own custom shuffleboard table. 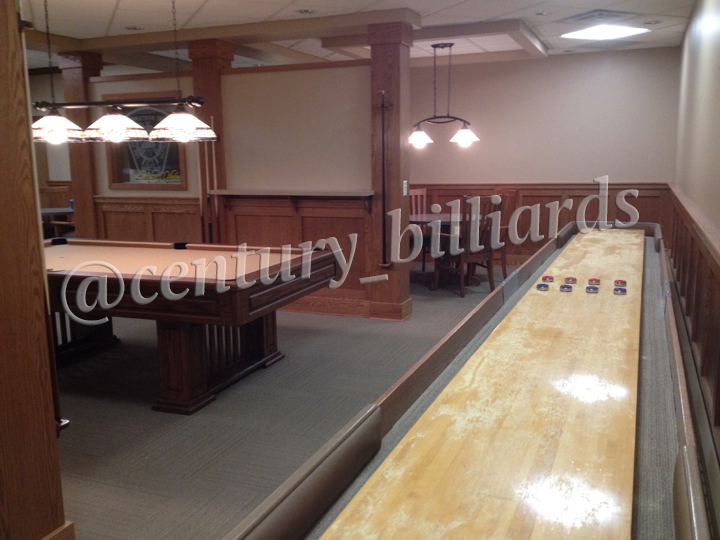 Give us a call at (631) 462-6655 or schedule a consultation.